Reports from the training ground are that West Ham spent the international break working on ‘tactical stuff’. What should we expect when battle re-commences in today’s Premier League encounter at Everton? Part two of the weekend’s Merseyside versus London Premier League action sees pointless West Ham travel north to face unbeaten Everton at Goodison Park. If the Hammers are as thoroughly outclassed as their itinerant North London neighbours were at Wembley on Saturday afternoon then we could be in for a painful afternoon. 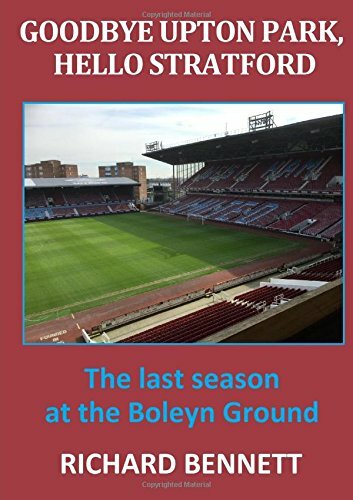 Trips to the north-west have never come easy for West Ham with Everton representing a particular challenge, both home and away, in recent years. In the last twenty visits to Goodison, the Hammers have only returned down the motorway with all three points on two occasions (in 2005/06 and 2015/16). It is not a record that encourages optimism. Another defeat would represent a worst ever start to a league season in the entire history of the club and heap even more pressure on manager Manuel Pellegrini. Unfortunately, it is all looking very Avram Grant at the moment. It is difficult to know at what point the Board would take action should the bad run of results and performances continue but the season already has that feel of immense disappointment about it. Even if Pellegrini does eventually turn it around as he did after slow starts at Villareal and Malaga it is much more likely to be a slow climb to mid table than a surge to Europa League qualification. Perhaps we can be reassured by the words of Michail Antonio who told the Official Site that the squad had made good use of the international break by working on “shape and tactical stuff”. You can’t have too much tactical stuff in my view and I look forward to witnessing the improvements this afternoon. One assumes that it is a change of tactics that we are talking about rather than a case of having previously forgotten about having any! On the evidence of the last time out, at home to Wolves, it is not only shape and tactics that are in need improvement but also the levels of effort, intensity, sharpness and tempo. The performance against Wolves was widely criticised – and for good reason. So, are we likely to see any significant difference today? I am still of the view that three at the back would suit the players available far better than a flat back four. However, it would be a major departure to Pellegrini’s beliefs to countenance such a change. Thus, I can see the defence being largely unchanged from that which started against Wolves and, with few options to choose from up front, all of the tinkering has to be in the midfield areas. Everyone, apart, it seems, from those responsible for player recruitment, knew that West Ham had a major problem in defensive/ central midfield. The late signing of Carlos Sanchez, as an afterthought, in the final hours of the transfer window was akin to buying your wife’s Christmas present at the petrol station just before it closed on Christmas Eve. It is only going to end badly. Not that Sanchez has been the stand-out worst performer in the games where he has featured; just that he is not good enough to fill this most necessary of positions. Without a Fernandinho or Kante to call upon, West Ham need at least two bodies in this area of the pitch and, as things stand, it is a case of finding the least worst pairing out of Sanchez, Pedro Obiang, Mark Noble and Declan Rice to do the job. For me, it would be Sanchez and Obiang but then I would also be starting Rice (in his proper position) as part of a back three. Sadly, Noble is well past his best-before date and his lack of pace and his first instinct to go backwards is not a step in the right direction (as far as better tactical stuff is concerned!) Neither am I convinced, despite his undoubted passion,that he provides so much in the way leadership on the pitch; although it is a worry where else this would come from. The reluctance to start Andriy Yarmolenko continues to puzzle and maybe there has been a question over his match fitness. If I was holding the purse strings I would want to see my expensively assembled squad in action right away. I would feel short-changed (after spending £100 million) at having to yet again watch Robert Snodgrass plod around to little effect. Apart from his short-lived purple patch while at Hull he has never been an effective Premier League player. As he offers the greatest threat down any flank and is a useful outlet for under pressure defenders my choice for the left sided midfield role would be Arthur Masuaku. At least he has the pace and trickery to run at, unsettle and get behind defenders. Felipe Anderson needs to start earning his keep and to be played in the freer attacking midfield role that we saw against Arsenal. He has a big price tag to live up to and needs to deliver sooner rather than later. There have been a few promising signs and I have to remain hopeful that he can build a useful understanding with, and provide much needed support to, Marko Arnautovic. I can imagine Arnie quickly losing patience if he is left abandoned up front on his own for much longer. This week’s straw to clutch is that opponents Everton have a long list of injuries in defence and without the suspended Richarlison ‘look’ rather light in attack. On the other hand, games against West Ham always seem to bring out the best in Walcott and Sigurdsson. Today’s match referee is Martin Atkinson from West Yorkshire who officiated several of last season’s best forgotten matches away at Manchester United and Swansea and at home to Brighton. As for the pundits, Lawro is plumping for a 2-1 Everton win while Merson is being kinder by going for a 1-1 draw. I can see us breaking our duck today but with just the single point from a scrappy draw. More importantly some clear signs that the players do actually care, are committed to the cause and appear to know what they are doing would be most welcome. That is the beauty of tactical stuff! Agree x3 at back would suit us better, on what I have seen so far. But the manager would rather be sacked than change his principles and so will stick with his preferred formation. I like your side on this article and it makes a lot of sense…….personally I maybe tempted to play Declan instead of sanchez…..but that’s possibly because I want him to stay and sign a new contract. Previous Previous post: Sticky Toffee Pudding or Goodison Glory for West Ham on Sunday?